The Classic range from Miller features a selection of creative and practical products. 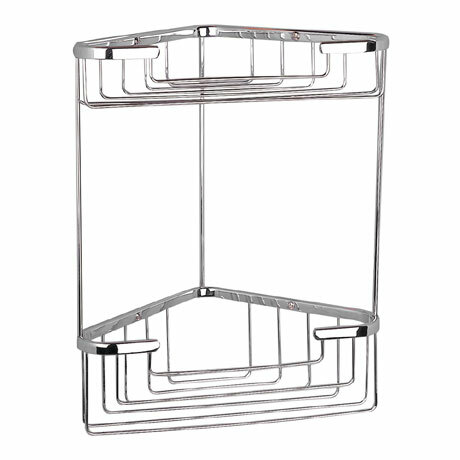 Designed and developed with careful attention to detail, this practical 2 tier corner basket provides plenty of storage space for all your showering essentials and keeps the bathroom clutter free. Manufactured from high grade brass and finished in chrome, this Miller accessory is guaranteed for 10 years.